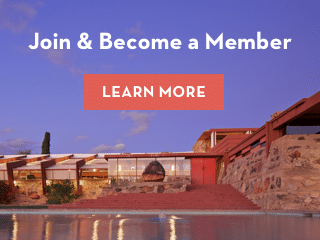 The school will now be known as the School of Architecture at Taliesin, acknowledging its origins in Frank Lloyd Wright’s Taliesin Fellowship, the apprenticeship program established at his homes, Taliesin and Taliesin West, in Spring Green, WI and Scottsdale, AZ. When the transition is completed in August, the School will also see some changes at the leadership levels. Betsky will become President of the School of Architecture at Taliesin, while Chris Lasch, currently the director of academic affairs, will take over as Dean. Betsky sees this as a period of unprecedented opportunity. “We are excited to position the institution as one of the best experimental architecture schools in the country, a place where we all together learn how to make the designed environment more sustainable, just and beautiful.